Kurt Cyr, a local celebrity, designer and mid-century modern expert is your guide! He is known for his affable personality, architectural knowledge and inspiring tours. He is co-founder of Salon for the Parched, a monthly creative think tank and Makerville, an artisan group that produces sold-out events for Modernism Week. As a writer for Desert Outlook reporting on design and architecture and a regular guest on KNEWS 94.3, Kurt has his finger on the pulse of architectural and design happenings in Palm Springs. 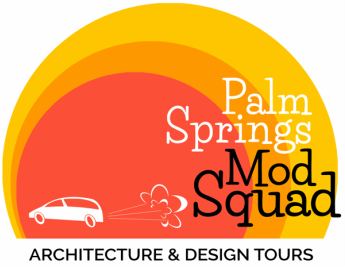 In an effort to share his love and knowledge of Palm Springs, he launched his own tour business, Palm Springs Mod Squad.